Updates to Murray's profile since your last visit are highlighted in yellow. Shaun, (33) married, no kids lived in Hong Kong until April 2015, schooled at Pretoria Boys High, Stellenbosch More…B Com Law, UCT Hons Financial Analysis and Portfolio Management. Involved in private equity. Stellenbosch B Com, Hons Business Management. Works at SA Breweries. Most of my working life in the pharmaceutical industry. Now semi retired, consulted to Imperial Health Sciences from Feb 2013 to Mar 2015, Chairman of Shelagh Clark Agencies, a seafood distribution business started by my wife 30 years ago.Chairman of Sophar Ltd, a pharmaceutical wholesaler based in Kigali Rwanda, partner in Astral Healthcare Pty Ltd, partner in Resaf Markeing Solutions. Live in Johannesburg but hoping to move to our home in Hermanus in a couple of years. Golf, Bush, house in Hermanus where we will be retiring when we finally retire!! Murray Clark has a birthday today. New comment added. Murray Clark posted a message. New comment added. Murray Clark added a comment on Cedric Parker's Profile. 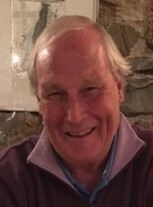 Murray Clark changed his "Now" picture. Murray Clark added a photo to his profile gallery. Murray Clark updated his profile. View. Murray Clark has left an In Memory comment for Ulrich Oellermann (Teacher). I have been following the stories of Ullie with great interest and some amusement!! While I was never taught by him, as a Blackmore's boy, we were allocated tasks to keep the cricket kit storeroom neat and tidy. Beware anyone who failed in their task!! In the darness of the dungeon the flogging came fast and hard!! Conversely, he was quick to praise a job well done and generous in providing advice and guidance. I have also been chuckling at other teachers names that have come up. Kees van der Westhuizen, what a character!! With me having been born and brought up in, what I call "occupied Natal" ie Northern Natal, Dundee, Afrikaans held no fear for me as I grew up speaking the language. I recall Kees launching himself into the classroom one day, glaring around the room at everyone and, eventually in his funny high pitched voice and strong accent said, "How many people we got in this Class?" The response (I think from Chris Champion), was 28 (I might be out on that number) to which Kees responded " 28 stinking ar**holes and not a single blerry window open!" Needless to say it took some time for composure to return to the class!! Murray Clark changed his profile picture. Murray Clark has a birthday today. Murray Clark has left an In Memory comment for Pat Taylor. Denzil, good to hear from you and Happy New Year to you. I only have Basil's mobile number which is 083 326 7880. I think he has retired as he sems to play golf most Tuesday mornings!! Hilton Davidson has just retired from SAA. Interestingly, about two years ago I boarded a flight in New York and while I was fiddling around getting myself settled I heard this booming voice saying "I will not have hooligans on my Plane, get off!!!!" It was Hilton, who then burst into a big grin and warmly shook my hand. Needless to say there was a huge sigh of relief from the whole Business Class cabin when they realised there was not going to be an "incident!" I also remember Pat well and sad he moved on so early. I see Basil Palmer from time to time, he is also a member at Country Club Johannesburg. I have his mobile number if anyone would like it. I must talk to him about getting onto this site. I also bump into Hilton Davidson from time to time but I think he was a year later. Murray Clark joined via Class Connection Facebook app.